Continuing to champion women&apos;s rights. Meghan Markle has just completed an important mission to India with international charity World Vision, where she led an inspiring initiative aimed at women in impoverished parts of the country. The committed philanthropist and Suits actress landed in the capital region of Delhi on January 17 to learn about issues affecting women and young girls in slum communities and engage in candid discussions centering on education, hygiene, empowerment, economic development and health care. A World Vision spokesperson exclusively tells Us Weekly, "World Vision&apos;s Global Ambassador Meghan Markle was in India on an experiential learning mission to highlight key issues facing girls living in poverty. 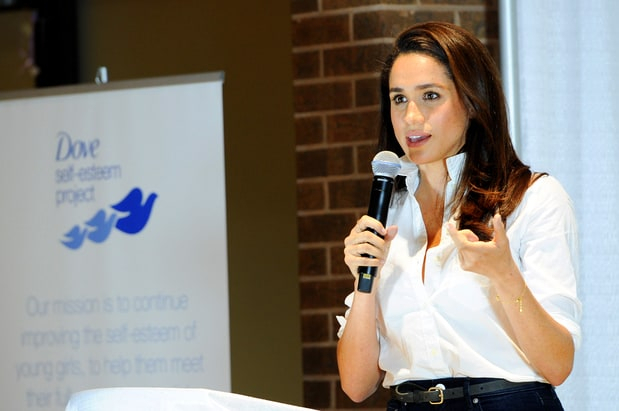 As a strong advocate for gender equality, Markle has worked closely with World Vision to create a trip specifically focusing on and bringing awareness to girls&apos; lack of access to education. She engaged with local activists and educators to help ensure girls felt equipped and safe to attend school, and worked to improve access to girls&apos; latrines, the lack thereof being a significant problem for 63 million teenage girls in India. World Vision, a relief, development and advocacy organization, has been active in India since 1951." Currently, 47 percent of schools in India have no washrooms, forcing girls to go outside, risking their safety, health and dignity. The lack of facilities contributes to the reason why 23 percent of girls drop out of full-time education after starting their periods. A source adds to Us, "Meghan had been planning this [for the past eight months], compiling her own research and helping set the agenda for the trip. She didn&apos;t want to be given notes by someone else and just show up. These are important areas of interest for Meghan and cover issues she feels extremely passionate about." "Meghan believes that all women, in every part of the world, should have the right to human dignity," the Markle source continues. Adds a second source, "She was there to learn about the issues facing women and girls in these communities so she can see what it needed and how she might help." Markle spent considerable time in Mumbai&apos;s slums with Suhani Jalota, a Duke University student from India who founded the Myna Mahila Foundation to empower and employ poor women in the city, while producing a vital product — menstrual pads. The importance of proper menstrual hygiene and issues surrounding periods is still a discussion that doesn&apos;t happen enough in India. At present, more than 85 percent of India&apos;s 355 million women still resort to unsafe alternative sanitary products like used rags, newspaper, leaves and even sawdust. Inadequate protection during periods has led to a rise in Reproductive Tract Infections (RTIs) and cervical cancer. Incorrect information, poverty and stigma around the menstrual cycle and female body have also slowed down attempts at improving feminine hygiene in the country. Says Jalota, 22, "In India, where I grew up, menstruation is considered impure, and even saying the word period is taboo. It&apos;s hard to imagine. I wanted to chip away at that stigma." Through her tireless efforts Jalota, an economics and global health major at Duke&apos;s North Carolina campus, has also worked hard to reform public health in Indian slums since the age of 15 and is currently working on expanding her start-up overseas. "Suhani&apos;s dedication towards helping improve the lives of young girls and women has played a large part in choosing India [for my] field mission as an Ambassador for World Vision," Markle has said. The pair were also joined in Mumbai by Nobel Peace Prize nominee Dr. Jockin Arputham, who has worked for 45 years in slums and shantytowns, building representative organizations into powerful partners with governments and international agencies for the betterment of urban living. His organization, the National Slum Dwellers Federation, has helped tens of thousands of homeless women and women living in slums gain access to housing and sanitation. During her five-day visit, Markle — who had previously been staying in London with boyfriend Prince Harry since late December — also sat down with several community leaders and activists in Delhi, including former member of the National Commission for Women, Shamina Shafiq, for a discussion on a number of these issues. "It was a moving trip," says the source. "Meghan wishes it was longer and is already planning on returning at a later date to continue these important conversations, to keep the ball rolling and not lose momentum." (Despite reports, the visit was not cut short due to security risks). World Vision has been active in India since 1951 and worked tirelessly to install proper sanitation facilities for families and women and run hygiene awareness campaigns. 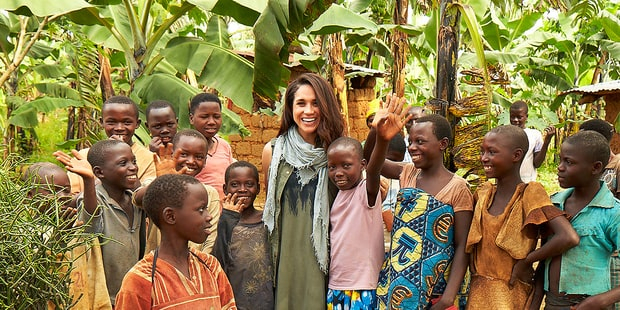 As part of her work as an ambassador for the organization, Markle visited Rwanda in March 2016 to see firsthand the impact that clean water has on the lives of children and communities in Africa. A spokeswoman for World Vision said at the time, "Her passion for global issues, and making a difference in the lives of children and women, is inspirational." 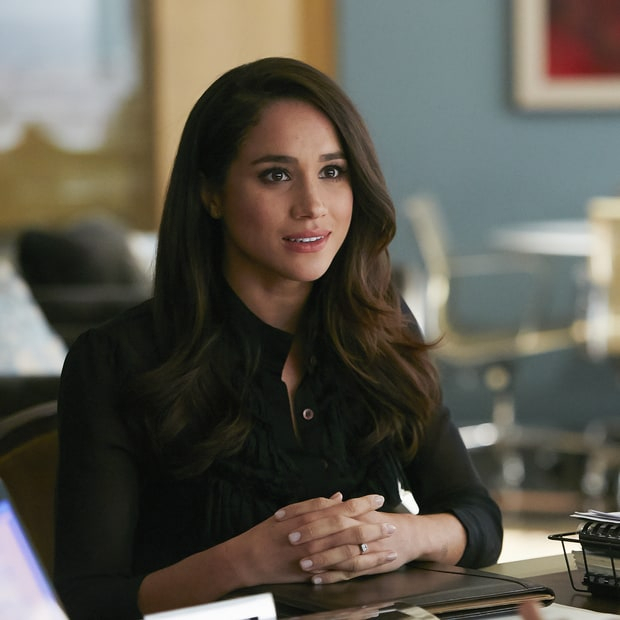 Markle is also a United Nations Women&apos;s Advocate for political participation and leadership.